The brand new 4000 square ft. flagship Starbucks is now open at Downtown Disney West Side. It will be open from 10:00 AM to midnight daily, the second of the two Downtown Disney locations is a full featured cafe with both indoor and outdoor seating. The hugely popular Magic Kingdom Frozen meet and greet with Anna and Elsa is set to operate for extended hours. Starting Sunday June 1 2014, the Frozen meet and greet at Princess Fairytale Hall will operate from park opening to park close. FastPass+ availability will also be expanded with the new operating hours. Previously, the Frozen meet and greet closed in the early evening. With the new hours, Snow White will meet guests in the Town Square Courtyard. The Downtown Disney Pleasure Island bus stop will soon be closing to make way for the all new bus transportation construction as part of the Disney Springs expansion. Starting around June 11 2014, only the Marketplace bus stop will be available, and there will be revised traffic patterns for the Walt Disney World busses around that area. When Disney Springs is completed in 2016, there will be a brand new, single location for the bus transportation service. Major changes will also be coming to the bus transportation heading to Typhoon Lagoon as well. Starting June 10 2014, the bus service to and from Typhoon Lagoon after 2pm will only be available at Epcot. This means that if going to Typhoon Lagoon, you will first need to go to Epcot via bus or monorail, and then change onto the bus to Typhoon Lagoon. On the return journey, you will be dropped-off at Epcot, and will then take another bus or monorail to your next destination. Note that the changes of route only impacts those traveling after 2:00 PM. The routing changes are related to the bus stop closures and lane changes taking place at Downtown Disney during the expansion of the roadways for Disney Springs. There is no word yet on how long the new route will be in effect for. The hugely popular Festival of the Lion King show is once again back at Disney's Animal Kingdom. Performing in the brand new Harambe Theatre in Africa, the show plays every hour starting at 10:00 AM. FastPass+ is available on My Disney Experience, and a standby line is also available. Guests with FastPass+ reservations are let into the theatre first and have first choice of seating. Standby guests are then let into the theatre until capacity is reached. Here is a video of the show on the day it reopened, courtesy of WDWMagic. Speaking at the Los Angeles Times Hero Complex Film Festival, AVATAR creator James Cameron gave a few details on the progress of AVATAR land at Disney's Animal Kingdom. According to the transcript of his comments, he appears to confirm multiple attractions and some spectacular sounding audio-aniamtronic figures. "It’s going to have floating mountains. It’s pretty cool. I’ve seen the model and the design work the Imagineering people have done is spectacular. They’ve got a quarter inch to the foot scale model of the whole park and I’ve looked at all the sight lines…it’s not a park, it’s a land within the park but a land is not just a ride. There will be several rides and a number of other attractions. It’s really just a place you’re gonna wanna go and hang out. It’s gonna be gorgeous. Of course it’s gonna be gorgeous at night and they’re using every new trick, every new bit of technology that they’ve created. The animatronics for the Na’vi characters are gonna be fantastic. For example, their early animatronics would use 12 axis of motion and I think the most they’ve ever done was 32 axis recently. I think they’re up to 64 just in the face of the Na’vi characters. So it’s gonna be remarkable. They really see it as a major, major attraction." AVATAR at Disney's Animal Kingdom is set to open in early 2017. The first application of the long-range RFID capabilities of the MyMagic+ Magic Band is set to rollout tomorrow at all four Walt Disney World theme parks. Until now, only the low powered short range RFID readers are used in the Magic Bands, for applications such as touch-to-enter and touch-to-pay. 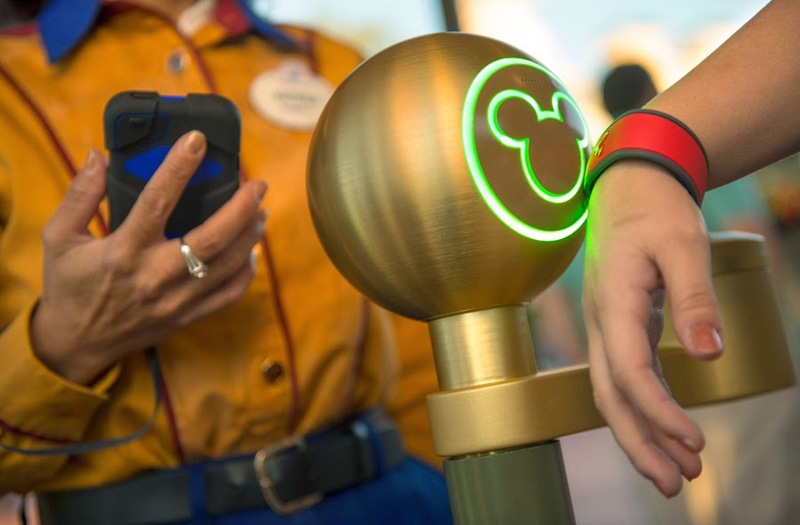 Much of the expected benefits of the MyMagic+ come from the long range abilities of the MagicBand, and these are expected to drive revenue for Disney with increased sales, and provide a greater experience integration for the guests. Initially, the automatic linking of on ride photos to the My Disney Experience account will only be available to guests who have purchased the Memory Maker package. A Magic Band is also required for their service to function, it cannot be done with an RFID card. Limited testing of the automatic photo linking has been ongoing since last 2013. It is important to note that only the MagicBand can provide long range capabilities that this photo service requires, which is the first time that functionality in the park is now dependent on wearing a MagicBand. Until now, the MagicBand has only provided a convenience factor over the RFID cards. Expedition Everest at Disney's Animal Kingdom is currently undergoing some refurbishment work. The park's signature attraction is still open to guests as normal, but the rear of the mountain has scaffolding in position, along with a crane. It is not clear what the extent of the refurbishment is, but so far, the broken track at the top of the mountain has been removed, and the bird effect has been reinstated. The attractions main effect, the animatronic yeti, has not worked since late 2007, around a year after the ride opened. If anything will be done to this show scene during this refurbishment is yet to be seen. The Cap n Jacks Margarita Bar at Downtown Disney Marketplace is now permanently closed and walled off for a major refurbishment. A brand new themed bar will open in the Marketplace as part of the Disney Springs redevelopment of Downtown Disney. No word yet on when it will open, but expect an "old Florida style" theme. As part of the Disney Springs redevelopment of Downtown Disney, another change has been made to the parking lot entrances. Entrance 1 on the Marketplace side, which is across from the Casting Center, is now closed to inbound traffic. This entry is the closest to the parking lot behind the Marketplace shops. If you wish to get to that lot, you now need to enter via Entrance 2, which is across from the Hess Gas Station, and then use the internal road to get to the Marketplace lot. Although closed to inbound traffic, Entrance 1 can still be used as an exit. 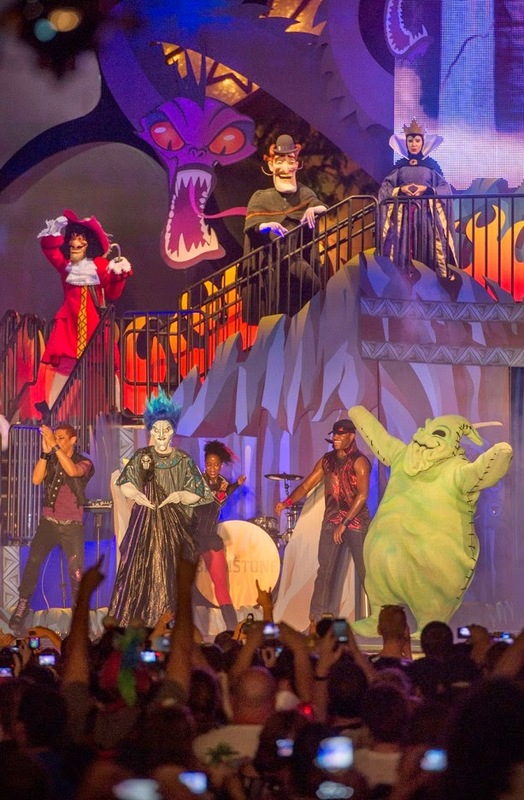 The massively popular Disney Villains will take center stage for a special hard-ticketed event later this summer at Disney's Hollywood Studios. 'Villains Unleashed' will take place on August 23 2014, with ticket sales beginning this week. Currently, tickets will go on sale for passholders on June 5, and on June 9 for the general public at a price of $67, but that could change. The Studios ran a test version of elements of the event during Limited Time Magic last year, with the 'Unleash the Villains' event. Expect special entertainment, food, and more. Mickey's Jammin' Jungle Parade was performed for the final time last Saturday after nearly 13 years at Disney's Animal Kingdom. The parade joined the park as part of the 100 Years of Magic celebration, opening to guests on September 24 2001. Along with the regular Jammin' Jungle Parade, there was also a special Holiday edition - Mickey's Jingle Jungle Parade.